It’s not officially summer but it’s been 80+ degrees for a week so I’m breaking out the patriotic decorations. I’m not sure why but when the temps skyrocket I just have to decorate everything in red, white and blue. 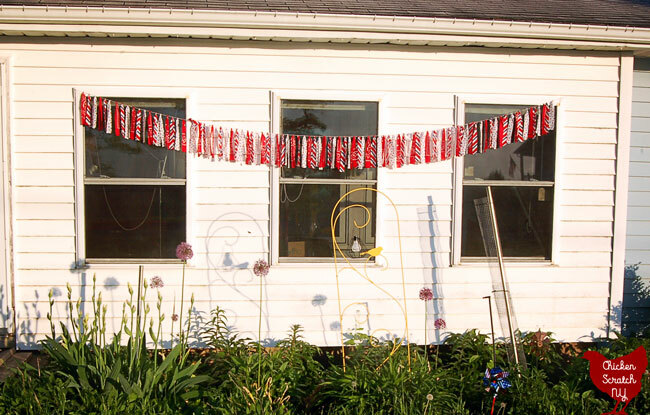 I usually keep my 4th of July decorations up from late May though September. Then it’s the most wonderful time of the year when I get to break out the pumpkins, ghosts and giant spider webs. 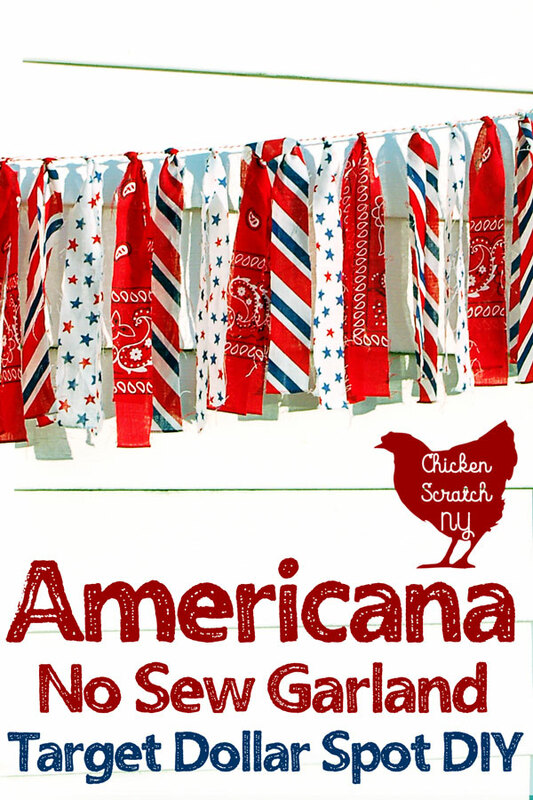 Anyway, I wanted a quick, cheap and easy Americana banner for the front flower bed and this is what I came up it. It’s everything I was looking for. I grabbed 6 bandannas from the Dollar Spot at Target, two each of three patterns. I’ve also seen $1 bandannas at Walmart and I’m sure you can find them all over. This garland would look just as good in solid colors but I really like the variation in pattern that I got. Of course you can use regular fabric too, stick with a woven cotton fabric like quilters cotton for a similar look. 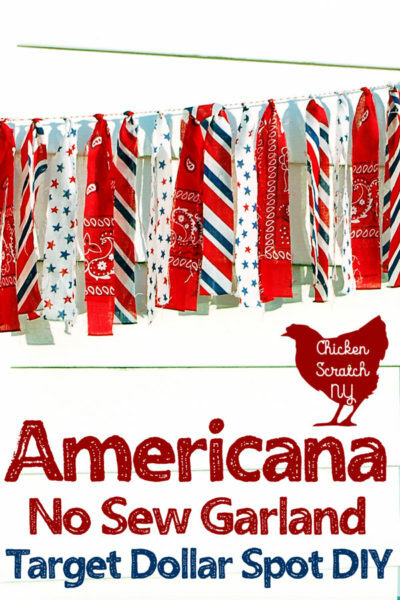 There is a shameful amount of bakers twine in my craft room and I grabbed a spool of red to string my 4th of July banner. 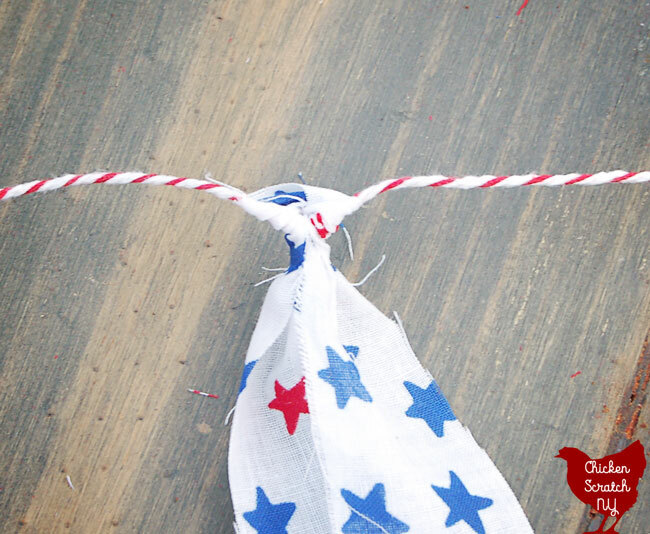 You can use any thin ribbon, twine or even fishing line if you prefer the floating look. 1. 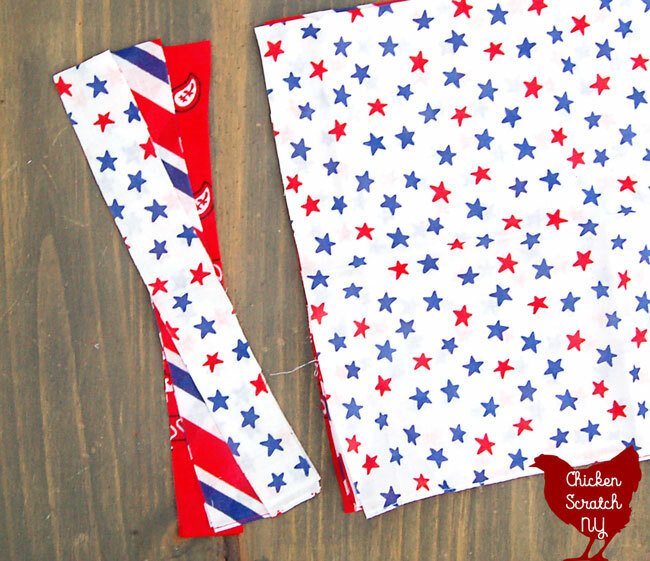 Fold the bandanas in half and stack lining up the edges. Trim the seams off the short ends, leave them along the bottom. 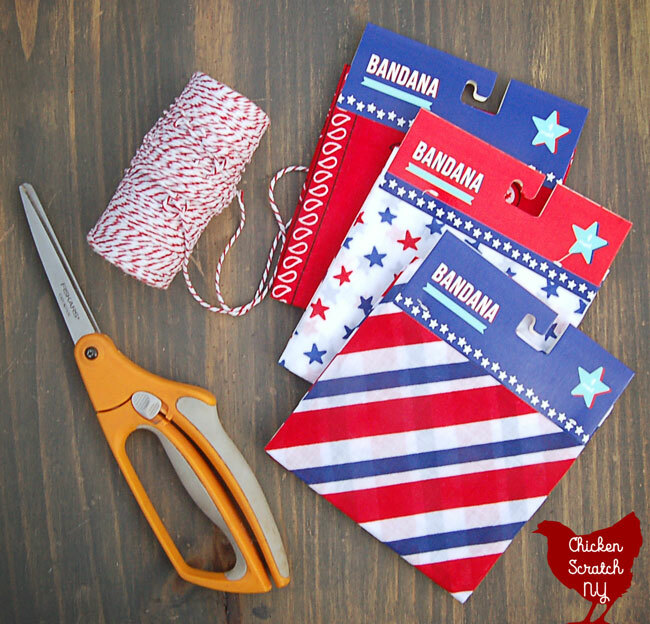 Depending on how sharp your scissors are you might be able to cut all of them at once. 2. Eyeball 1 inch slices and cut. The first set I did on the table and they were pretty straight. The second set I did sitting on the couch watching Brooklyn 99 and they were… wonky. It all looks the same when it’s hanging so don’t beat yourself up and don’t bother digging out a ruler. 3. Loop the strips around the twine. Pull the string in one hand the the fabric in the other. 4. Separate the twine and slide the knot down. I kept about an inch between my strips and it still looks pretty full and fluffy. This is a very quick and cheap project. But.. It’s probably got a short life span. I hung mine across three windows in the front of my house. 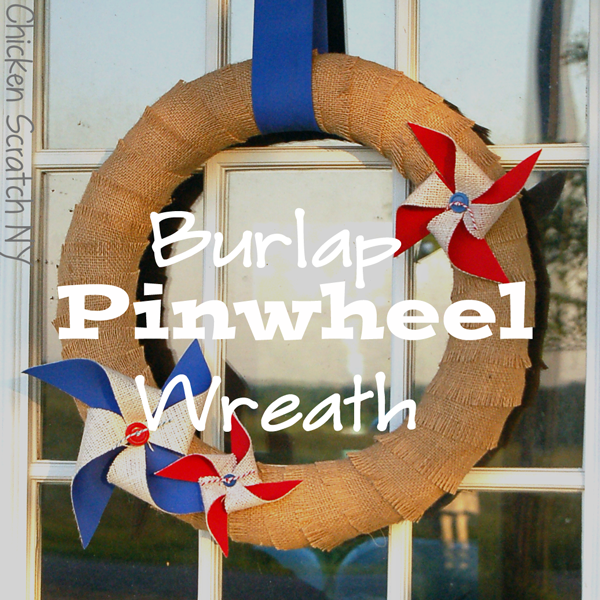 I’ve also got a bunch of patriotic pinwheels and a wreath on my t-post trellis for some patriotic flair. The area only gets a few hours of first sun a day so I’m hoping the colors last though August. That’s also the only un-weeded portion of my flower garden. It’s got the most perennials and I was waiting for them all to pop up before I went in ripping out weeds. My giant white iris is going to bloom soon. It’s my favorite flower in the bed, it was blooming when I came home from the hospital with my littlest monster. She’ll be two on June 1st and it’s right on target. 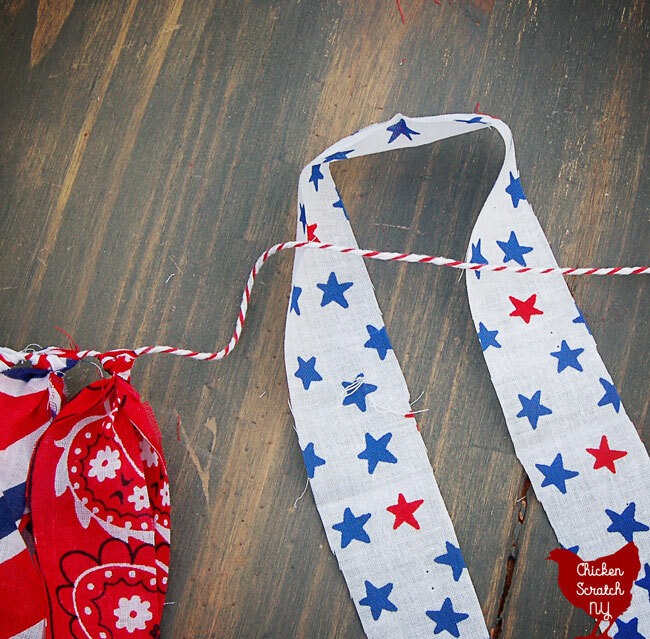 Don’t forget to PIN this to your DIY or 4th of July board!